You will find below the horoscope of Brittany Petros with her interactive chart, an excerpt of her astrological portrait and her planetary dominants. If you know the time of birth of Brittany Petros, we would appreciate it if you would send us your information with your source, at stars@astrotheme.com. To thank you for contributing to the enhancement of our astrological database, we shall be glad to send you the astrological portrait (34 pages) of this celebrity. Horoscopes having the same aspect Sun sextile Saturn (orb 0°05'): Rihanna, Meryl Streep, Robin Williams, Robert De Niro, Kat Bjelland, Winston Churchill, Yasmine Bleeth, Janet Jackson, Claude François, Meg Ryan, Amy Lee, Benito Mussolini... Find all the celebrities having this aspect. Horoscopes having the same aspect Mercury conjunction Pluto (orb 0°28'): Whitney Houston, Sylvester Stallone, George W. Bush, River Phoenix, Claudia Schiffer, Nicole Richie, Charles Baudelaire, Steve Carell, Jenna Elfman, Laure Manaudou, Galileo Galilei, David Hasselhoff... Find all the celebrities having this aspect. Celebrities clicked on in real-time: 576,480,789 times. Here are some character traits from Brittany Petros's birth chart. This description is far from being comprehensive but it can shed light on his/her personality, which is still interesting for professional astrologers or astrology lovers. 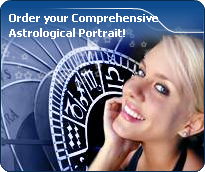 In a matter of minutes, you can get at your email address your astrological portrait (approximately 32 pages), a much more comprehensive report than this portrait of Brittany Petros. Warning: when the birth time is unknown, which is the case for Brittany Petros, a few paragraphs become irrelevant; distributions in hemispheres and quadrants are meaningless, so are dominant houses and houses' accentuations. Therefore, some chapters are removed from this part. Cheers for communication and mobility, Brittany Petros! The predominance of Air signs in your chart favours and amplifies your taste for relations and for all kinds of short trips, whether real (travels) or symbolic (new ideas, mind speculations). You gain in flexibility and adaptability what you lose in self-assertion or in pragmatism. Like the majority of Earth signs, Brittany Petros, you are efficient, concrete and not too emotional. What matters to you is what you see: you judge the tree by its fruits. Your ideas keep changing, words disappear, but actions and their consequences are visible and remain. Express your sensitivity, even if it means revealing your vulnerability. Emotions, energy and communication must not be neglected; concrete action is meaningless if it is not justified by your heart, your intellect or your enthusiasm. Fire's qualities are not very present in your chart, with only 4.57% instead of the average 25%, which means that you may lack warmth, enthusiasm, conquering spirit, or energy. You may look indifferent to others, with almost no desire, no joy of life or no enterprising ability. Actually, it is not true, but you should let go, force yourself to be more daring, and show your amazement as well as your vitality. You certainly have as much energy as others, you just need to release it, and it is up to you to display more of it, since it will be all to your benefit: shout, sing, pull faces, dance! That's the right mean for you... In the end, you'll never be accused of being sad, phlegmatic or a killjoy! The Mutable mode is the most emphasized one in your natal chart, Brittany Petros, which indicates a mobile character that is curious and thirsty for new experiences and evolution. You are lively and flexible, and you like to react quickly to solicitations, but don't confuse mobility with agitation, since this is the danger with this configuration - and with you, stagnation is out of the question. Security doesn't matter as long as you are not bored. You optimize, you change things, you change yourself... all this in a speedy way. After this paragraph about dominant planets, of Brittany Petros, here are the character traits that you must read more carefully than the previous texts since they are very specific: the texts about dominant planets only give background information about the personality and remain quite general: they emphasize or, on the contrary, mitigate different particularities or facets of a personality. A human being is a complex whole and only bodies of texts can attempt to successfully figure out all the finer points. Brittany Petros, inside yourself, feelings are strong and powerful. However, you never show them before weighing up and considering all the possible consequences of your words and your actions: fieriness and spontaneousness are toned down because you cannot help controlling yourself, probably due to your modesty, your discretion or your shyness; you are frightened because you are so concerned with other people's opinion that you see passion, or expressing your feelings too quickly, as sources of danger. However, you are helpful, simple, and you do not fuss around. Reason prevails in your love life but your heart may flare up when the context is well organized and everyday life is cautiously handled with good sense, tidiness and cleanliness. Your sensitivity prompts you to avoid excesses and outbursts and this is how you think that you can achieve happiness without risk. Brittany Petros, you skilfully make use of your energy and you are like the arrow that reaches its target with great precision: with piercing eye and sharp mind, you take action meticulously and efficiently. Like the surgeon with his scalpel, you know exactly what you want and you belong to the category of specialists, not the generalists. Critical, pernickety, extremely organized, you want to foresee and to analyze. You prefer to master your business too well rather than not enough, even if you must put a huge, sustained, long lasting effort into it. Sexually, you remain fanatical about cleanliness. You may be prone to fantasies such as fetishism. Your love life is fine if you avoid the unforeseen events that you loathe. This text is only an excerpt from of Brittany Petros's portrait. We hope that it will arouse your curiosity, and that it will prompt you to deepen your knowledge of astrology, as well as to visit and use the wide range of free applications at www.astrotheme.com.